For those wondering, the answer is yes. Road Redemption was heavily inspired by the classic Road Rash series, particularly the Road Rash entries on the original Sega Genesis/Megadrive, Road Rash on 3DO (later ported to the original PlayStation), and Road Rash 64 on Nintendo 64. Motorstorm was also a big inspiration for us, as were Burnout 2 and 3. 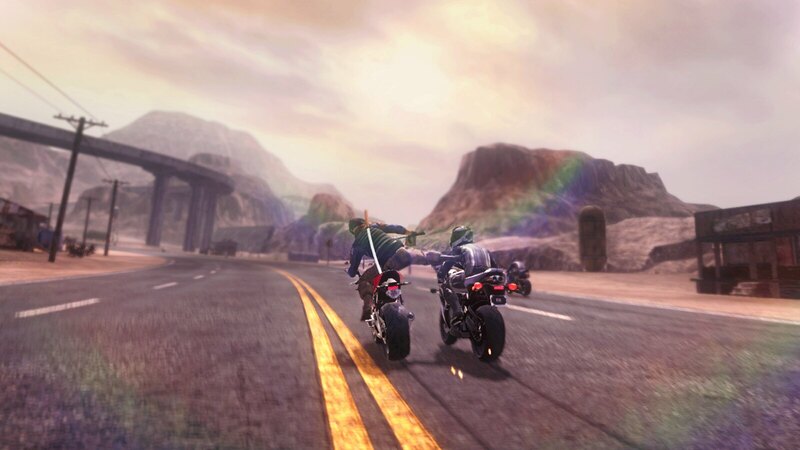 With Road Redemption, our goal was to make a game that lives up to people’s memories of those classic Road Rash titles, which, of course meant that Road Redemption had to be much better than those early games in order to be successful. Thankfully, we’ve had 15 years of hardware progress to help us out and allow us to do things with physics and AI that simply weren’t possible in the heyday of the Road Rash series and I think we’ve achieved our goal. 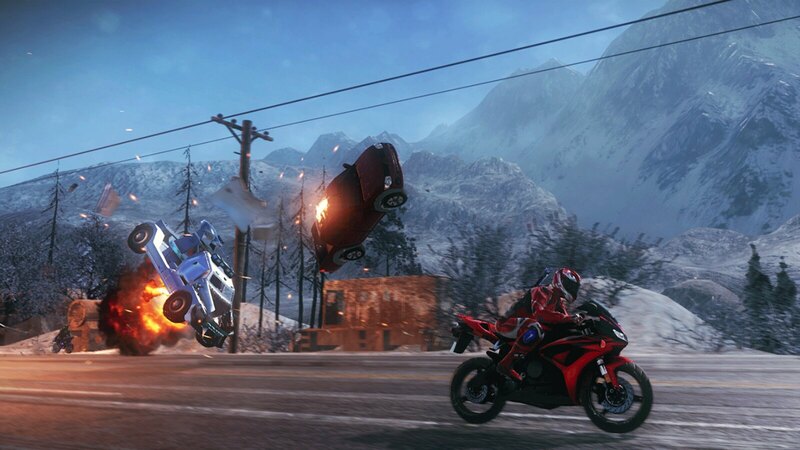 Road Redemption’s gameplay, like its inspiration from Road Rash, is different from anything else on the market today. In addition to being a racing game, it’s also a full-fledged action game where the environment plays a huge role in a player’s moment-to-moment tactical decisions. Faced with a tough opponent on your left side, do you go at him hard and fast with your sword, putting yourself at risk for counters, or do you play defensively until the moment when you can kick him into oncoming traffic? The interaction with an ever-changing environment allows for combat possibilities that no other game offers. 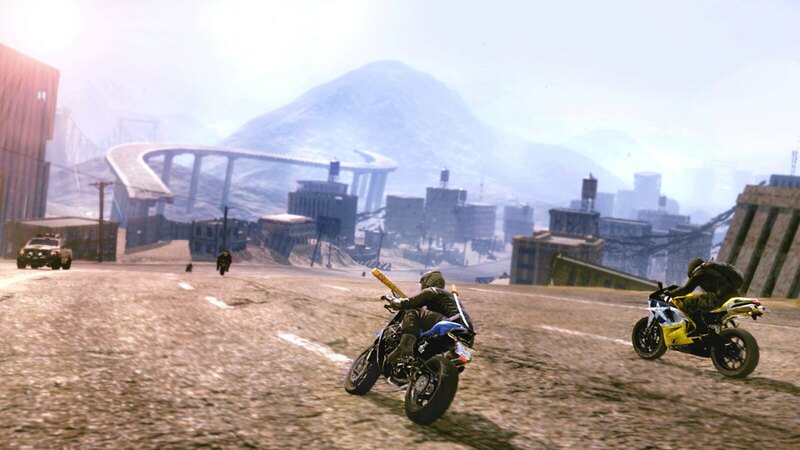 Adding to the combat challenge, Road Redemption is an incredibly fast racing game, with average speeds of about 175mph. Early on we decided that we didn’t want to compromise on the combat complexity despite the speed of the action, even if it means the player has to engage in Dark Souls-level combat while simultaneously navigating hairpin turns and taking advantage of shortcuts. 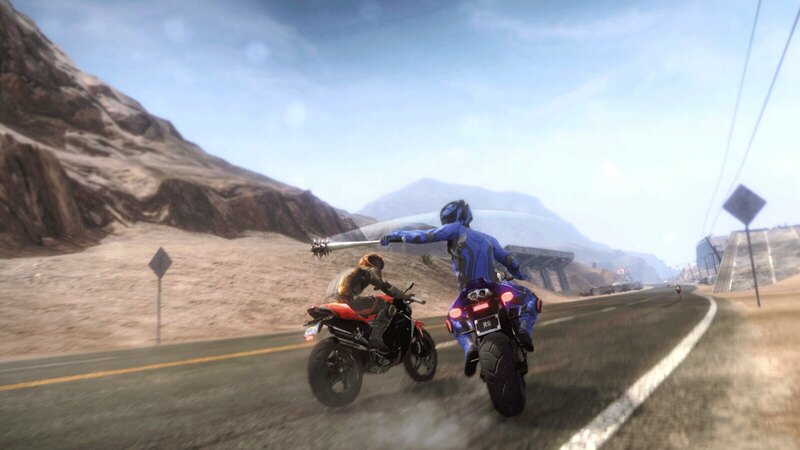 In other words, while it’s easy to jump right in and have fun straight away in Road Redemption, becoming a master requires time, persistence, and practice using its many many weapons. 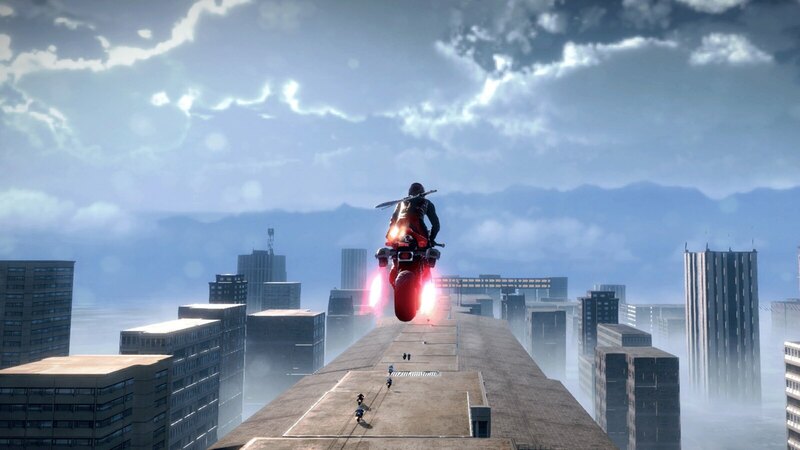 We wanted variety in Road Redemption to come from building on top of the game’s core mechanics as someone plays through the campaign. For instance, in the campaign’s opening races, players will mostly stick to simple (yet satisfying) weapon swings, kicks, and parries. However, late in the game a player might zap a heavily-armored racer to his right with a stun baton, fire off a few AK-47 rounds into the racer dropping pipe bombs in front of him, then take out the truck trying to edge him off the road via a sticky C4 bomb, before knocking the racer to his right off his cycle with a sledgehammer… all in the span of three seconds! Making a game that was both immediately satisfying in its first 30 seconds and deep enough in its twentieth hour wasn’t an easy task, but we think it’s something we achieved and we hope players enjoy it!